Small bar with a big crowd spilling on the the sidewalk; patrons can be spotted sipping beverages on the sidewalk late into the night. Just be there and you'll understand why! It was ok, too many bears for me to handle. I like my men like I like my coffee blonde & sweet. 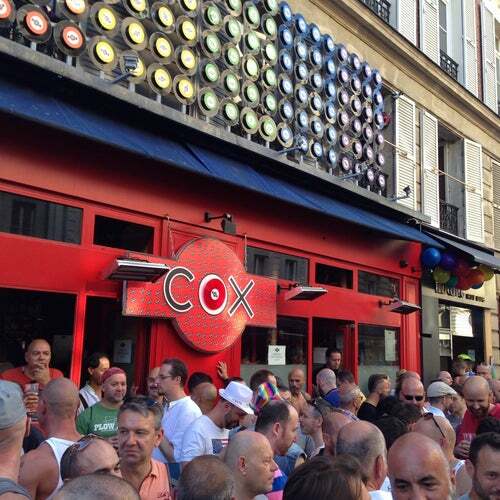 Like many gay bars in Paris, not a good variety of vodka. Ask for Belvedere if it's not on the shelf. As I was told repeatedly by Parisians, this is the most popular of bars. However, unless you smoke or stand outside with the smokers - the inside of the bar is going to look a lot less crowded and surprisingly, older. Viva The Cox !! ! !